Custom Work | New & Used Campers, Dump Trailers, Car Haulers & More! We are experts in fabrication and the welding of most metals, aluminum and alloys. 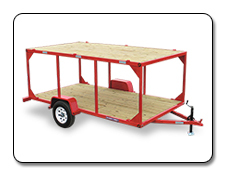 We build custom trailers to meet your specific needs. No trailer to big or small. We’ve built concession trailers, race/auto trailers, vending trailers, mobile command center trailers, bunk/office trailers, snowmobile trailers, and motorcycle trailers. 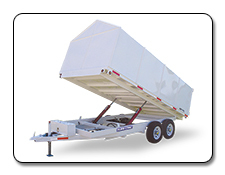 From installation of specialty equipment and cabinet packages for enclosed trailers, to customized truck beds, steal fabrication with powdercoat finish and aluminum repair and fabrication, our technicians have the experience to customize your trailer today. Your custom specifications combined with our fabrication and welding expertise ensures you receive the finished product you desire. 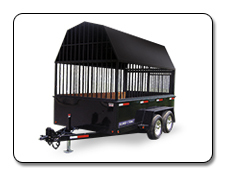 Contact us to build your custom trailer!